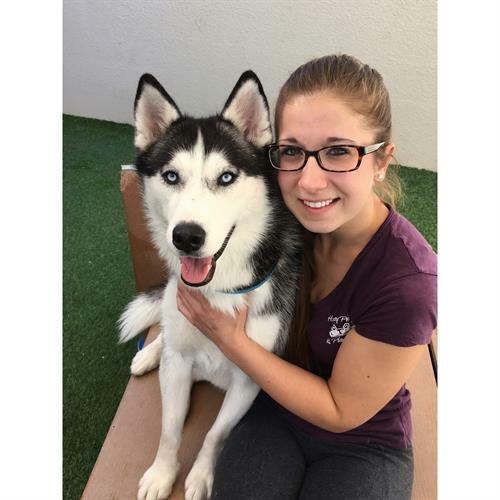 Dog boarding, doggy daycare, and puppy socializing in a safe and clean environment. Stop in for a tour. We'd love to show you around. If you're nervous about leaving your dog, you're just like us. And that's why we have live stream webcams - for peace of mind. (It's also very entertaining to watch dogs playing.) We are overprotective pet parents and that's why we prescreen all dogs to ensure good group play temperaments. 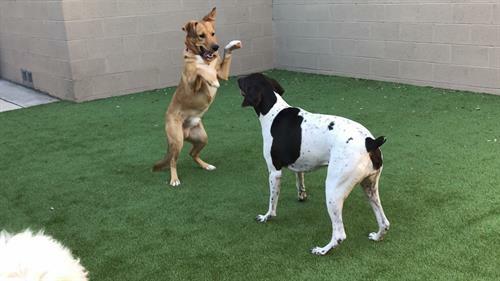 Our staff is also trained on reading dog body language to keep our playgroups fun and safe. We do include all the play time and a late night potty break for overnight boarding dogs. We love what we do. Our staff is amazing, kind, caring, and love animals. 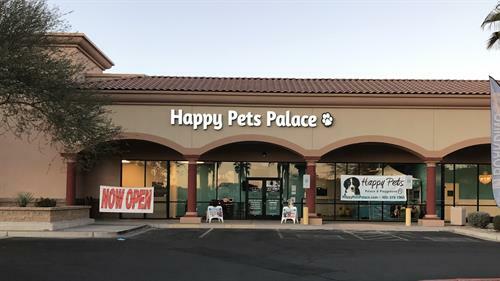 We are fortunate to be surrounded by beautiful happy pups and an amazing Happy Pets Palace Team. We would love to help your dog enjoy having play friends. That makes us smile.